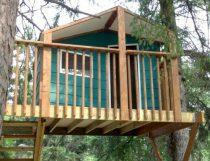 Choose from the many free woodworking plans available for tree houses. Here are plans for a freestanding tree house with look-out post that is supported by a wooden frame underneath. 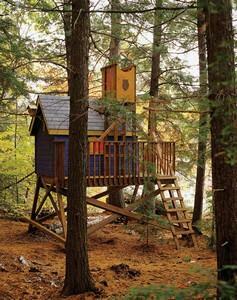 Build a tree house that is designed to be built around a tree trunk, has several windows and a front deck area. This is a plan for an A-framed tree house with decking that is built using 2 posts and a tree or 4 posts without the tree. 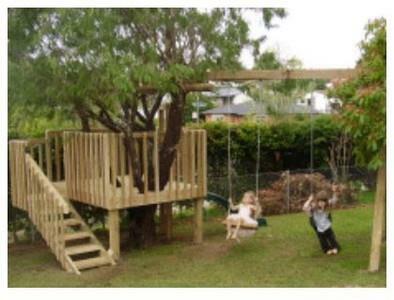 Learn how to build a tree house; features include solid decking, a ladder and wall frames. 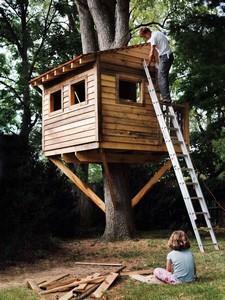 Everything you need to know about building a tree house is right here!